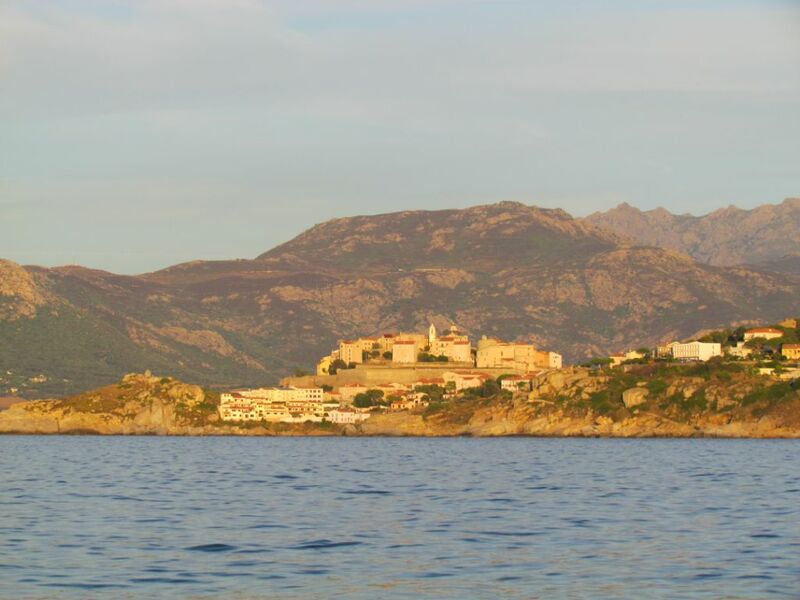 We crossed from Portoferraio on a flat calm day, the sky washed clean by the previous days’ rain meant we really could see for miles and miles; way up the Italian coast and as soon as we left the harbour on Elba we could see our destination. 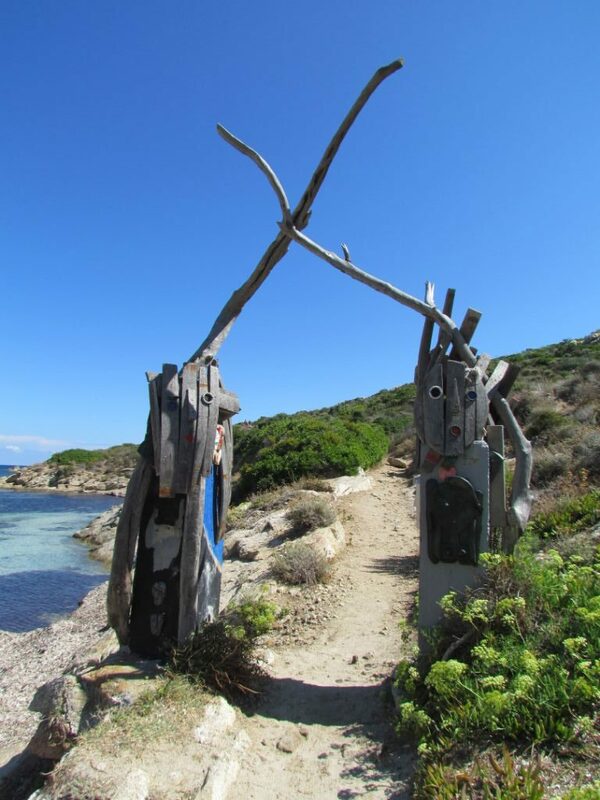 Corsica met my expectations and more; wonderfully wild with plenty of French culture and welcoming towns. Here is part one of our travels – along the north coast. 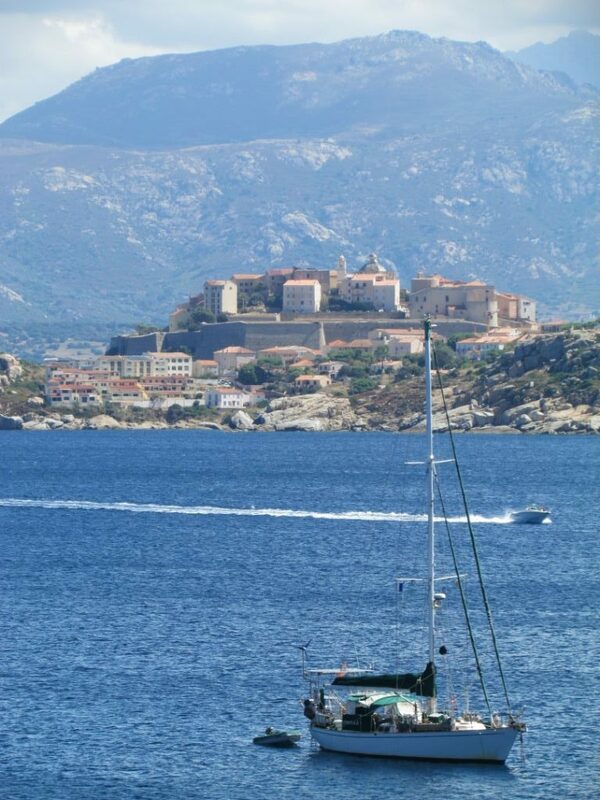 27th August: At last we were in Corsica and what a great start to our visit there. 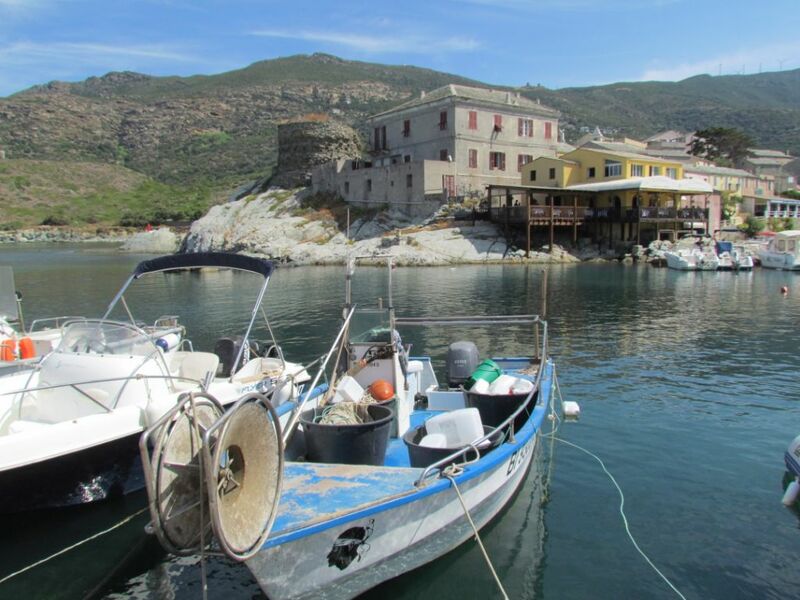 As we arrived at the small anchorage tucked behind the Iles Finocchiarola, two boats left leaving a lovely big space for us to drop anchor in behind the big yellow mooring buoys that prevent anchoring in the small nature reserve that surrounds the islands. The sea was flat, a curve of golden sand lined the shore and behind it snaked a coastal walking path waiting to be explored tomorrow. 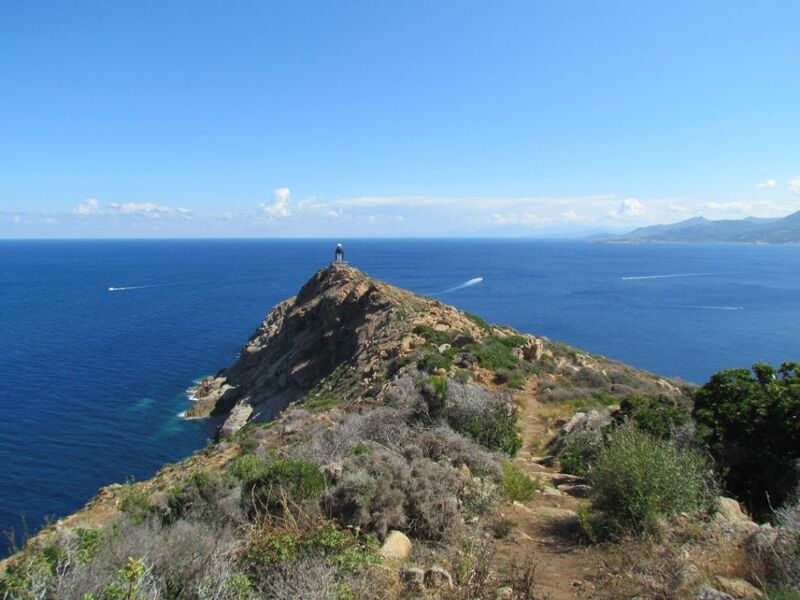 The Customs Officers path runs for 26km, from the nearby town of Macinaggio right around the north pointing fingertip of Cap Corse to Centuri around the other side of the peninsula. 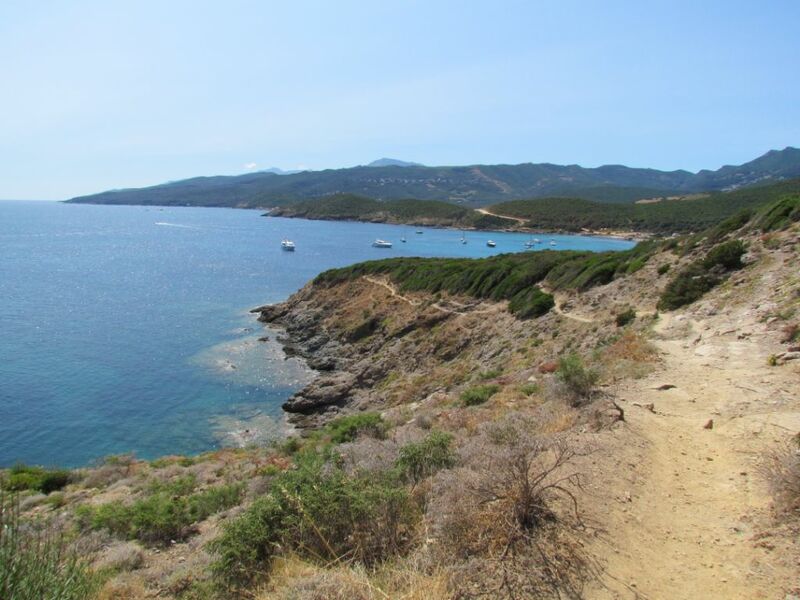 I was only able to walk a small section of it but even so, I was treated to beautiful vistas, sea daffodils, golden beaches and clear, blue water. 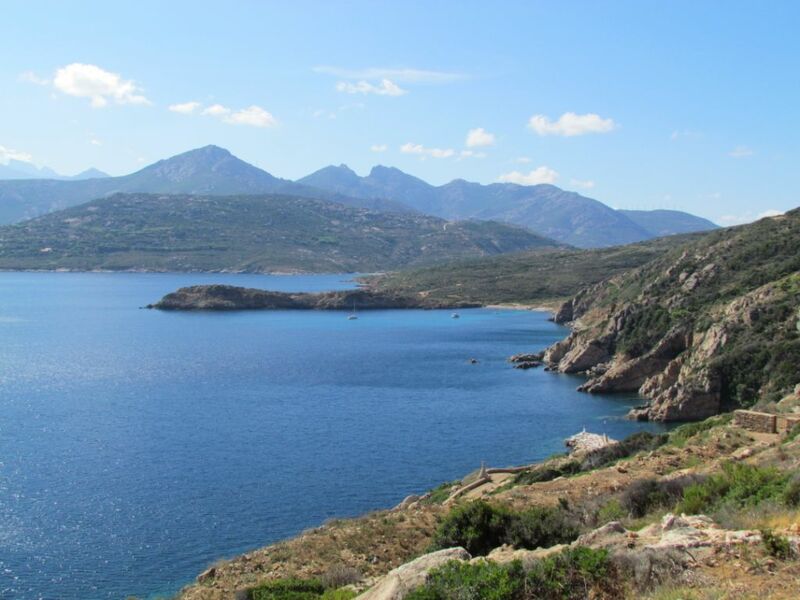 Corsica was ticking all my fun boxes. We hadn’t been sure what to expect in terms of crowded anchorages now that we were close to the end of August but our luck was in, there were a few French boats preparing for their overnight crossing back to France but it never felt over full. As the other boats departed, we could feel slightly smug that our summer had a few more weeks left to it. 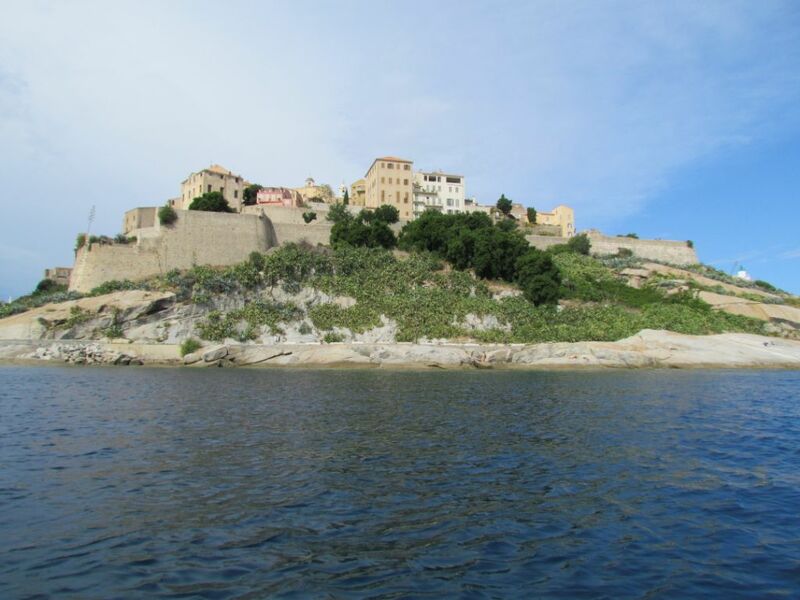 Is There a Downside to Cruising Corsica? 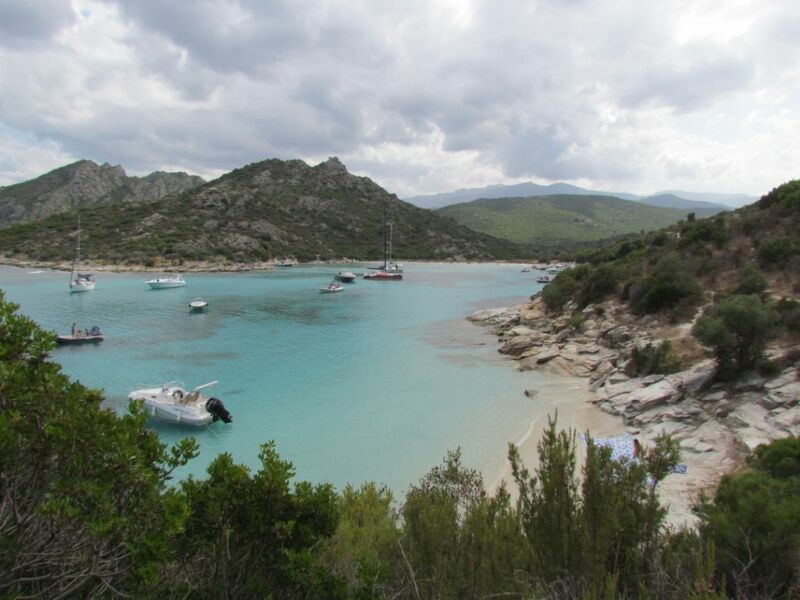 The downside of Corsica is the ever changing weather, which forced us to keep moving on when we could. We would look at a forecast and see 5 days of settled conditions, only for it to change the next day to windier conditions. We reluctantly left the idyllic anchorage but not before counting 23 pipe fish doing laps around Emerald’s hull. 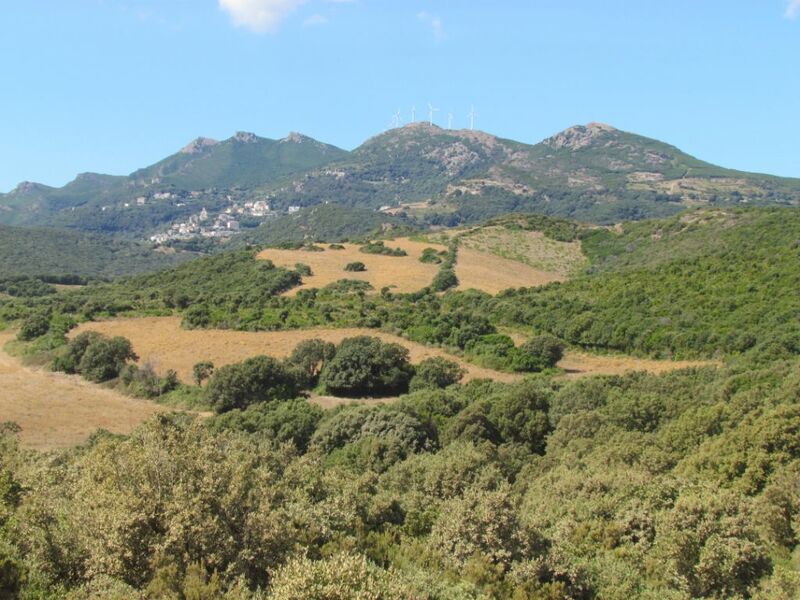 We set off around Cap Corse and around the top were met head on by galloping white horses and a F6, although it didn’t last very long. 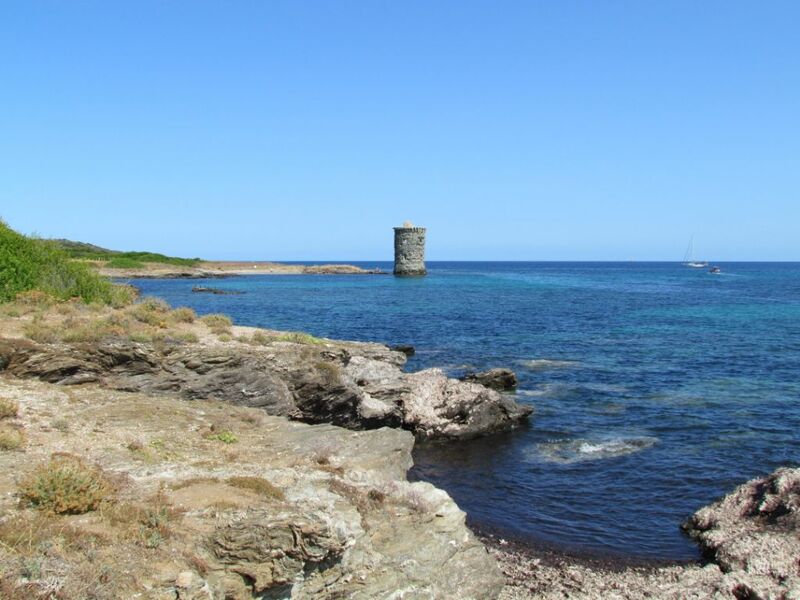 Once around the other side the sea returned to flat calm so we took a chance to stop off at Port des Centuri for a lunch stop. 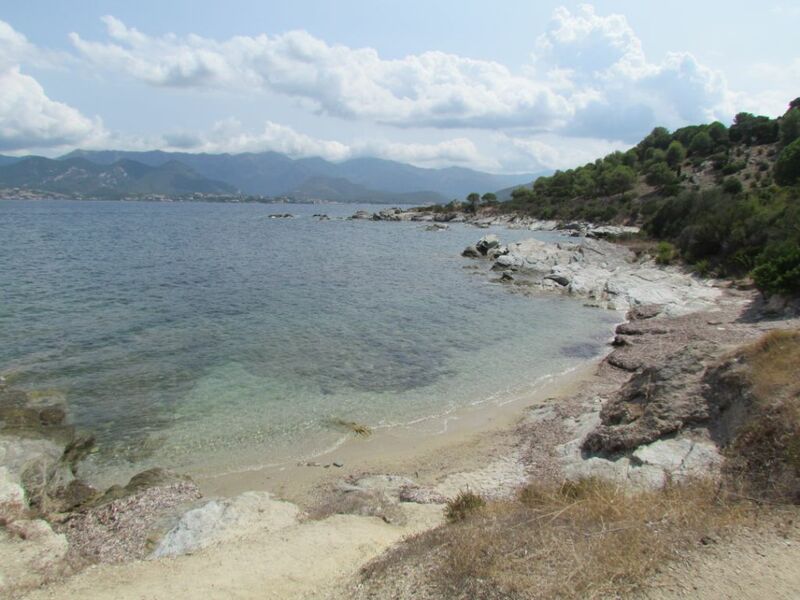 I took the dinghy ashore to buy bread and the friendly harbour-master pointed out a spot where I could tie up. That doesn’t happen very often! 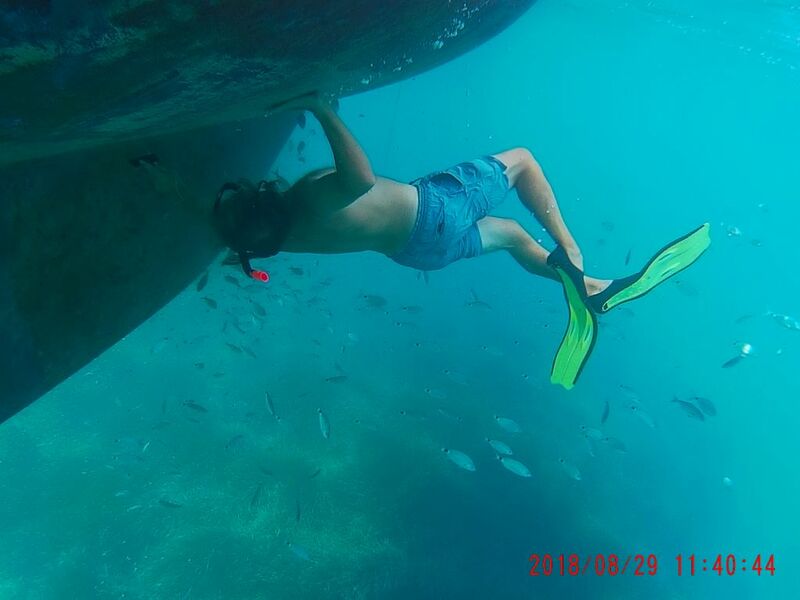 With the water being such an amazing blue we took the opportunity for a swim and Colin cleared some barnacles from the hull. 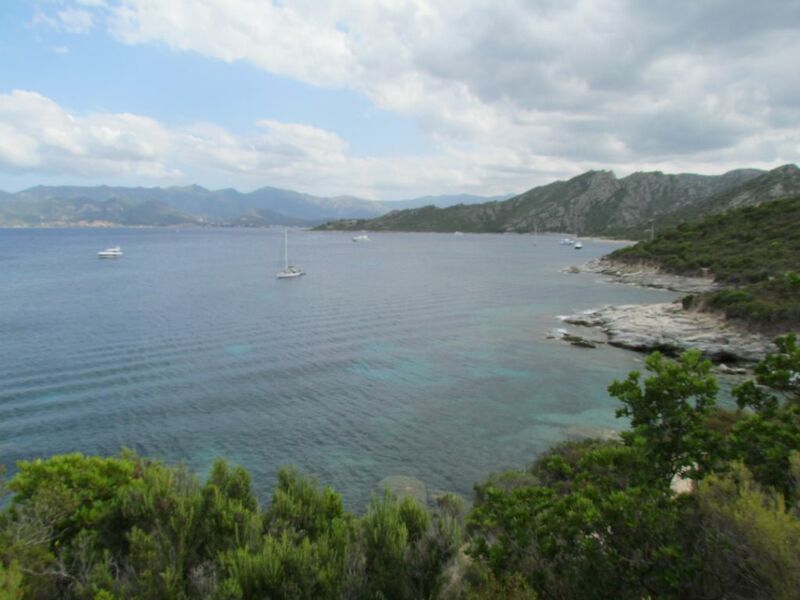 The holding wasn’t very good though with rocks and lumps of weed so we continued on down to Sant Florent. Colin’s hull gardening seemed to have given us some extra SOG! 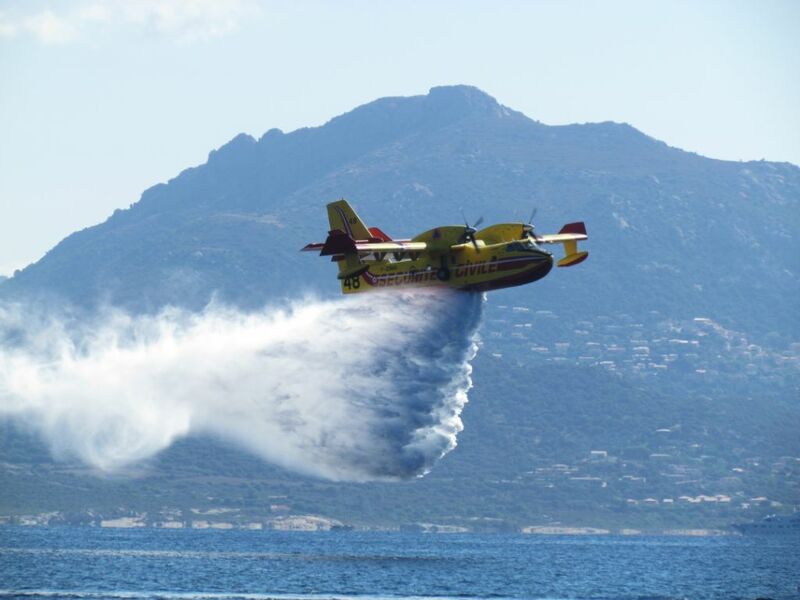 As we were coming in to anchor off the beach at Sant Florent, a large flying object buzzed over the mast. 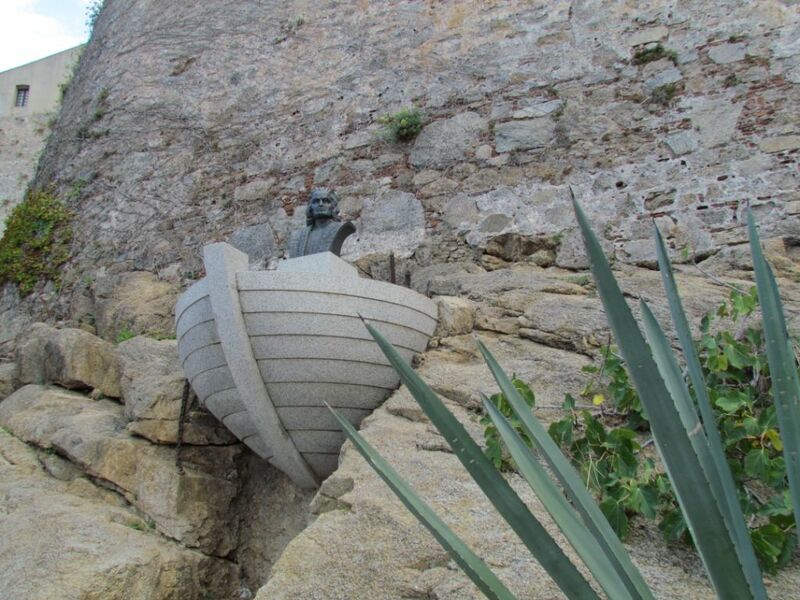 It looked like a dinghy…. but really would someone fly a dinghy? We got anchored and saw it coming back in towards the beach. It was a dinghy! 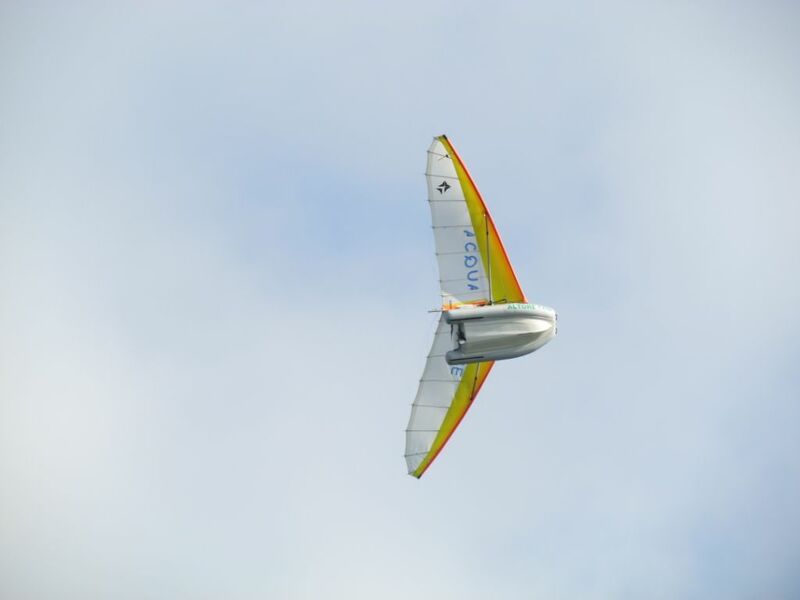 That was a new sight for us; a flying dinghy. I started to make plans for where we could store some wings…. I’m sure Crazy Horse would love to fly! Yes that is a flying dinghy! There is another coastal walk here, so the next morning we set off for an explore. But we discovered there are two miles of dusty, dull track to a car park before the real walk starts. 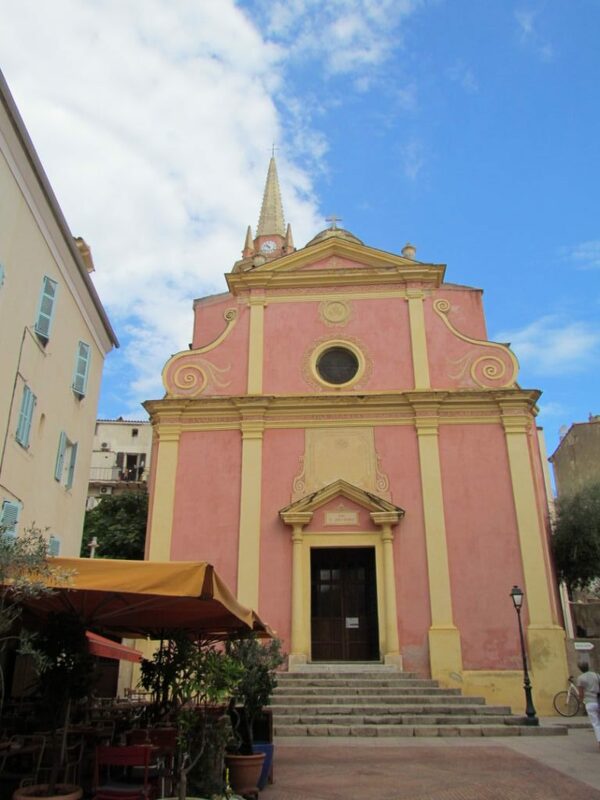 The town was pleasant for a wander with pretty squares and an old citadel. 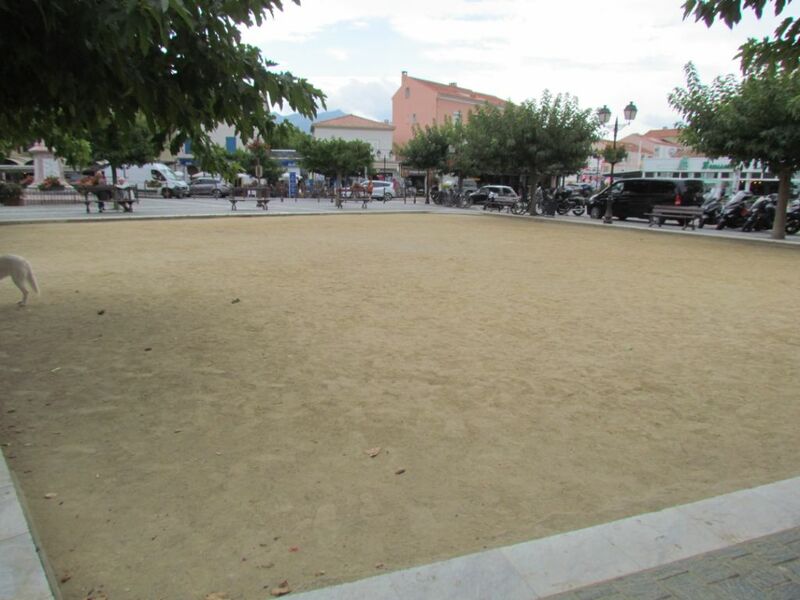 In true French style there with a large boules pitch behind the harbour and restaurants tempting us with moules frites, served with a large variety of sauces. It also has the nicest ever post office person I’d ever met. She was very kind to me with my faltering French. There is a large marina which did get busy on our second night when the swell really rolled in. 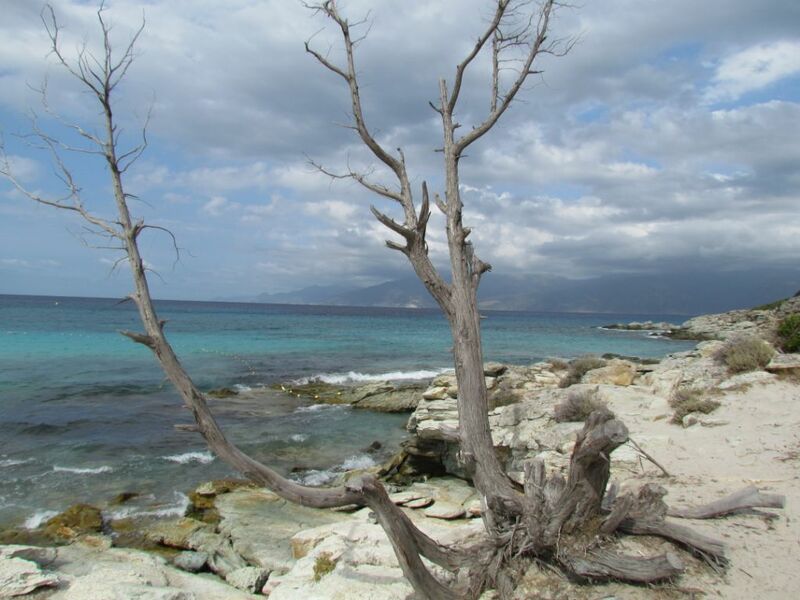 Sant Florent seems to attract swell, even without much wind it rolled in from the north. One evening it got too much and we had to escape ashore and eat some of those tempting moules. It’s a hard life sometimes! 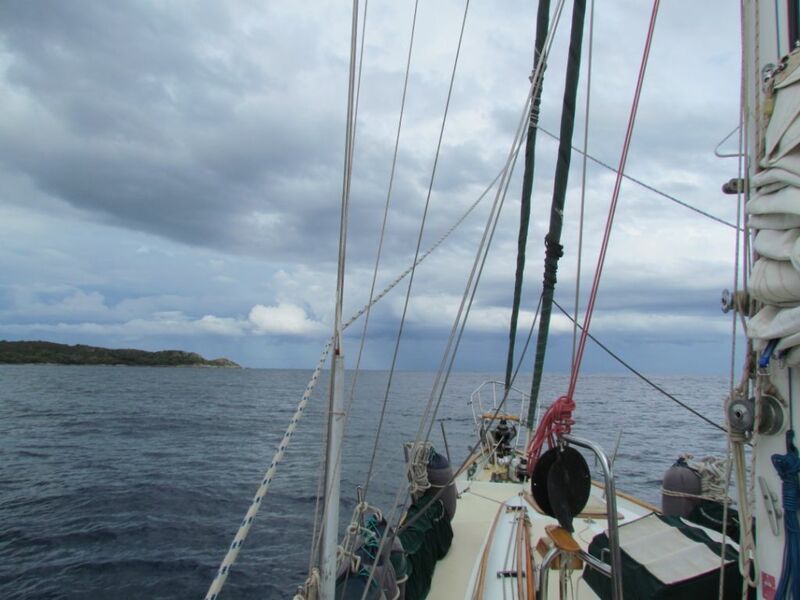 The swell was becoming more than uncomfortable, so we took a chance on an anchorage a little further up the coast, where a hook of land would hopefully give us some shelter from it. The best shelter was in a turquoise blue creek but it was full, so we took the second best option under the ruins of the Mortella tower. From this tower came the idea for the martello towers (that’s not a spelling mistake) that dot the south coast of England and east of Ireland. During a siege in 1794, two British ships unsuccessfully attacked the tower. The tower was then taken from the land but the British were so impressed by it’s strength in withstanding the seaward attack that they copied the design and used them to bolster the British coastal defences. 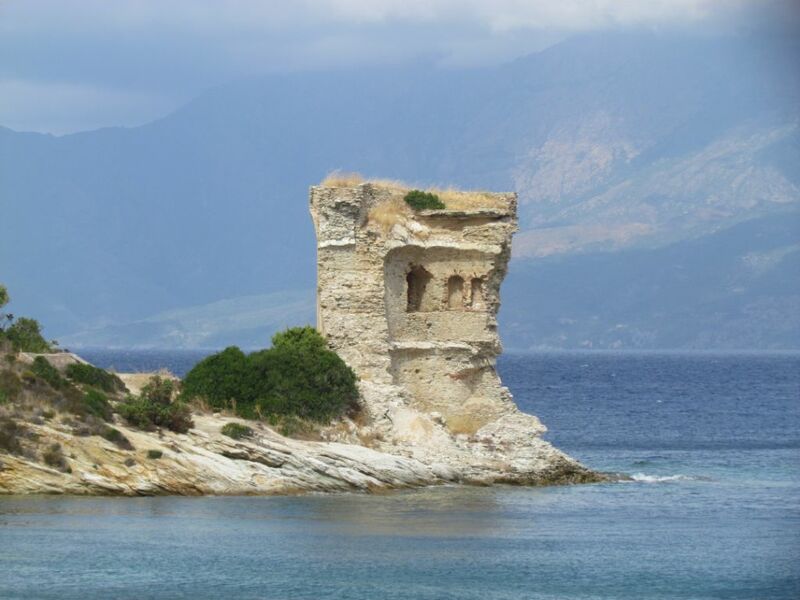 Unfortunately, on their departure from Corsica, the British blew up this tower, leaving the ruins that still remain to this day. And they spelt the name wrong! 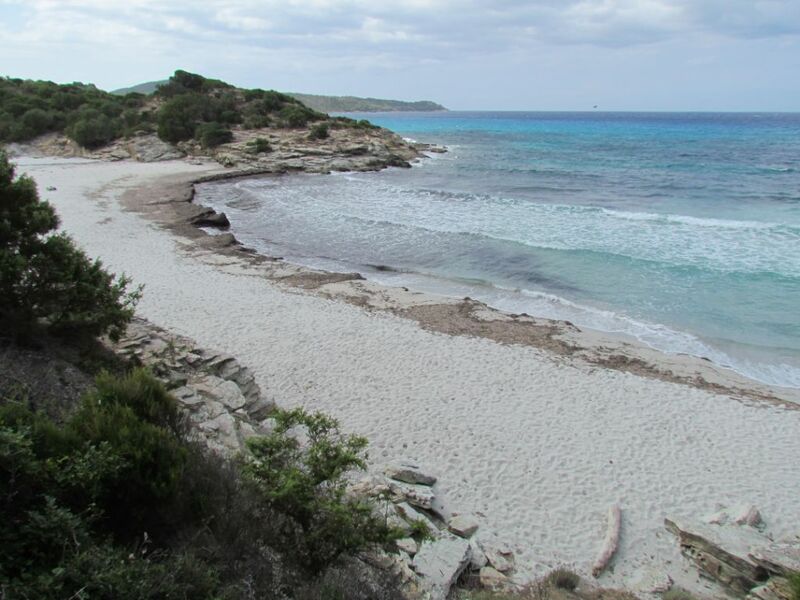 The coastal path we walked a few days ago passed right around the coast off which we were anchored so I followed it for a few miles to the beautiful white sand beach of Plage du Lotu. The first day of meteorological autumn arrived and the temperatures were tumbling overnight. The duvet went back on the bed. Early Sunday morning I was woken by the sound of distant rumbling, similar to the sound of someone moving furniture in a flat above you. I kept my eyes closed in the hope that if I couldn’t see any lightning, then it wasn’t really there. I kept up the pretence for a few more minutes as more grumblings sounded. Colin stirred and if he could hear them, it meant they were really there. I reached for my phone, connected to wifi and opened the lightningmaps.com page. There was a smattering of dots spread to the north of us like a rash of angry pimples. Sigh. Up we got and went to close up the hatches and prepare for strong wind. Outside there was the faintest hint of dawn to the east, just enough light to highlight the angry blackness to the north. Emerald prepared, the rain began, just a gentle pitter patter rather than the usual fire hose we have experienced with most thunderstorms. The storm moved west without passing overhead and we gladly went back to bed, the duvet still warm from when we left it 45 minutes earlier. When we woke again, thunder was still rumbling about close by. It was dry, but rain was moving towards us. 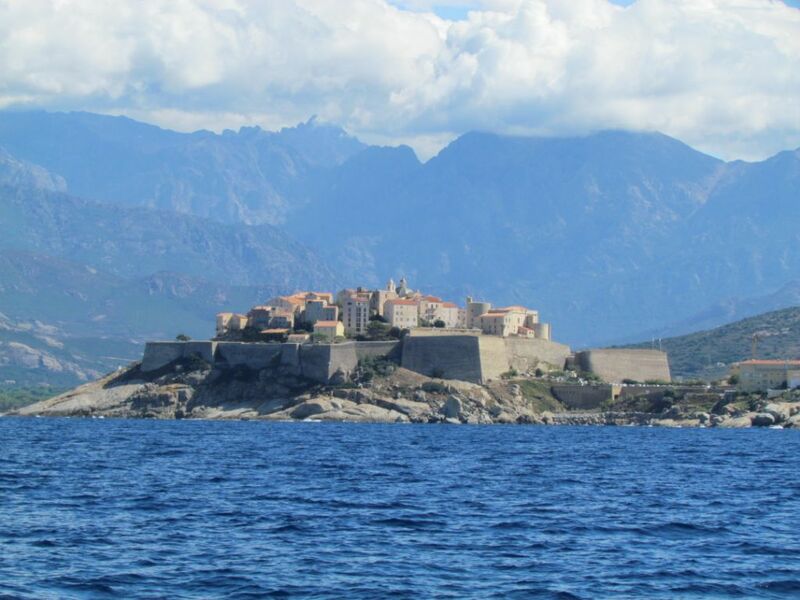 Whilst Emerald got another wash, we pondered our next move – a choice between moving on to Calvi in light winds today or staying put for another 3 days whilst some wind blew through. We chose to move, the rain had passed so we headed off. Around Mortella point we realised how well sheltered the anchorage had been as a long, meter high swell rolled in towards us (video of Here comes the swell). 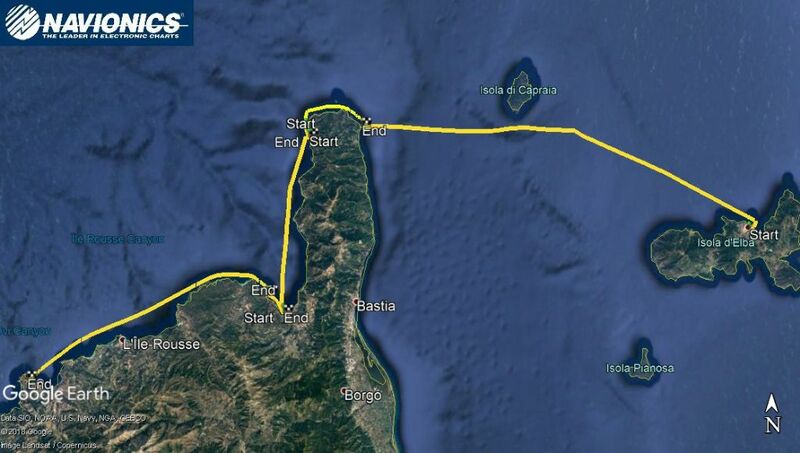 There was little wind until we passed Pointe de Curza where it met us head on, knocking over a knot off our SOG. We caught some more rain then the sky began to brighten and the winds eased. There was still the swell, but as Meatloaf sang, two out of three ain’t bad. 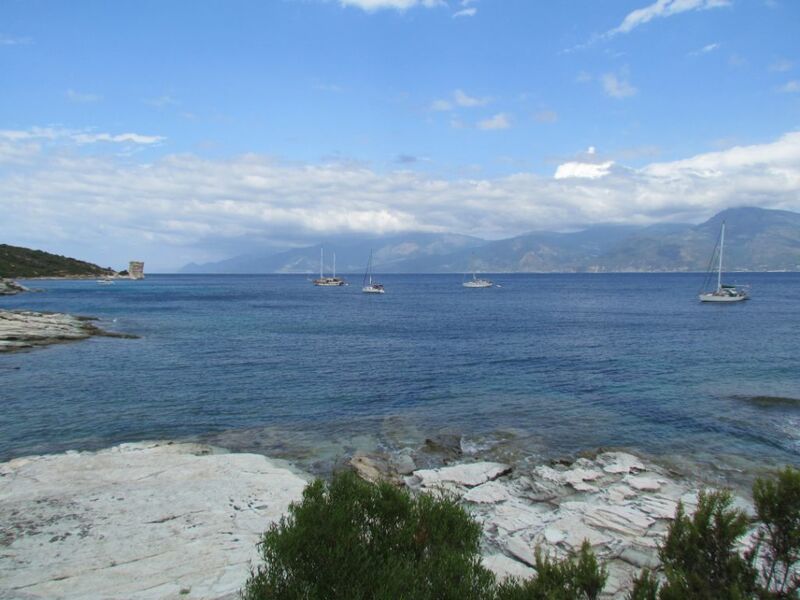 We decided against anchoring off Calvi as the swell was due to be from the north and it really didn’t look that sheltered, continuing on to the small finger of land called La Revellata that sticks up from the west coast. 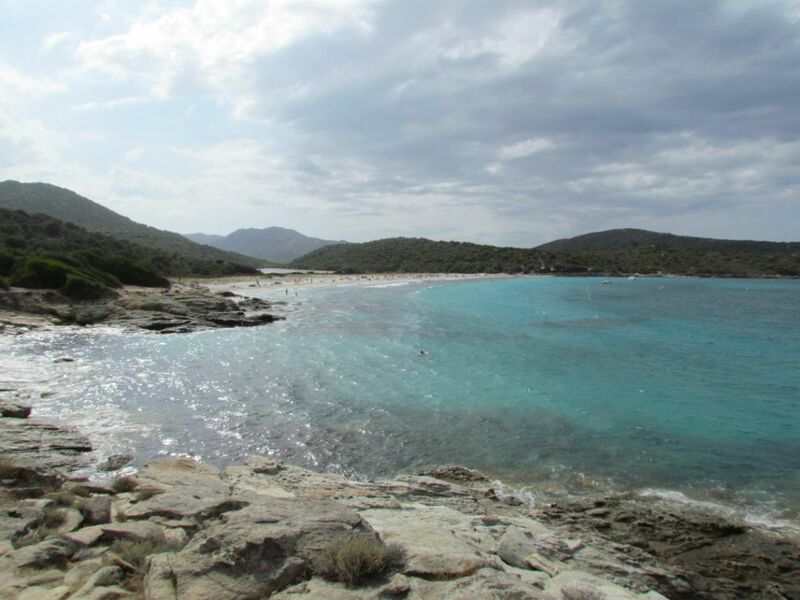 There are three anchorages to choose from – one tucked into the corner of the finger with a beach bar; this one was quite busy. 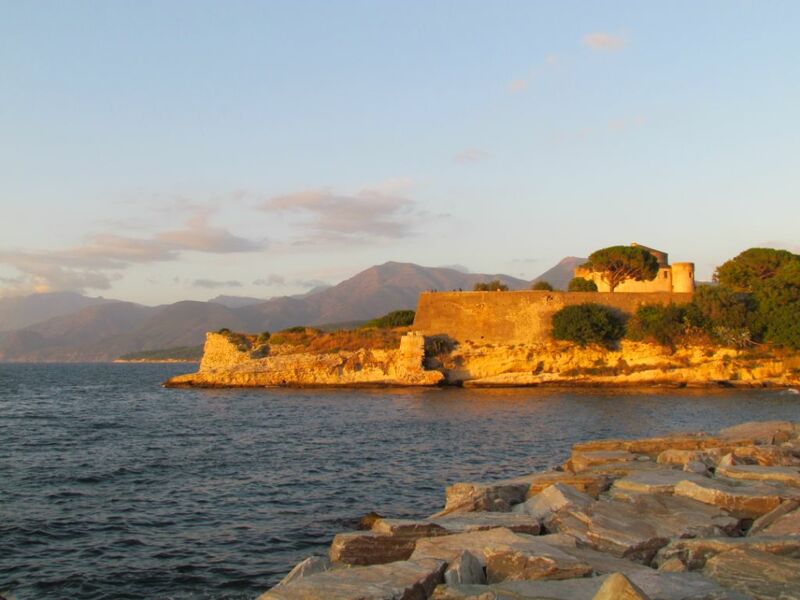 The other two lie north and south of the Punta di l’Oscelluccia. 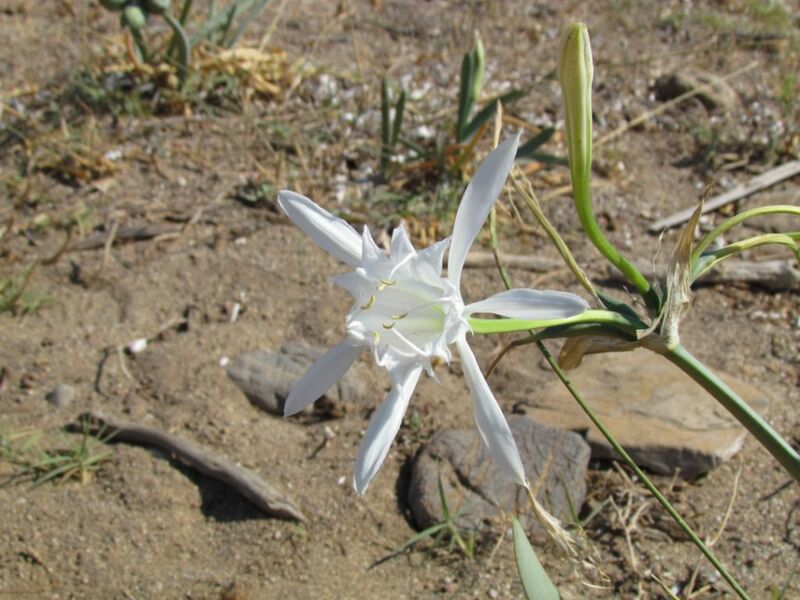 We plumped for the south side for better shelter from the north, although there is less sand to be found on this side. At our chosen spot there was one other boat and with the use of Google maps for sand spotting, we played a game of anchor darts and managed to hit the bullseye when we dropped in a small patch amongst the weed and rocks. 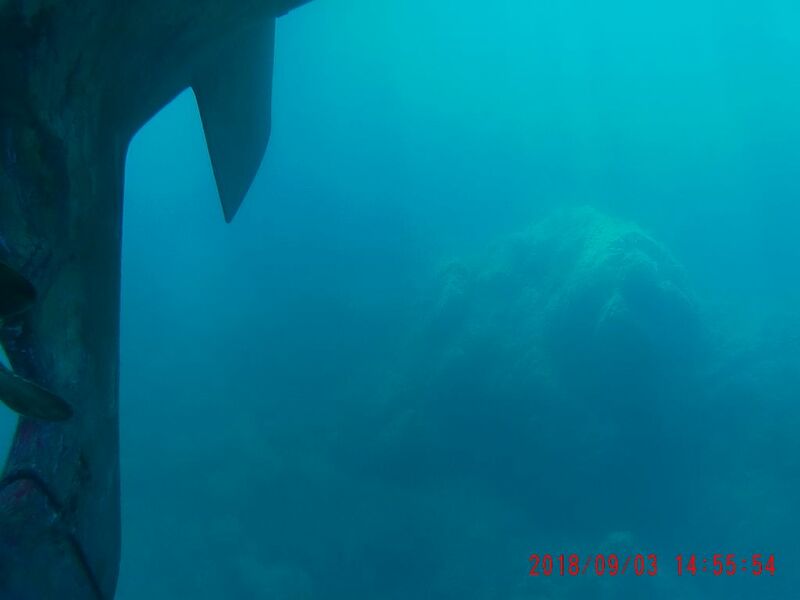 Later when snorkelling, I spotted a hefty rock standing a few meters off the bottom. Not a risk for hitting the keel as we were in 9m but the anchor chain could easily get snagged. The next day with a wind shift we heard the graunching sound of chain over rock so pulled a few meters in. 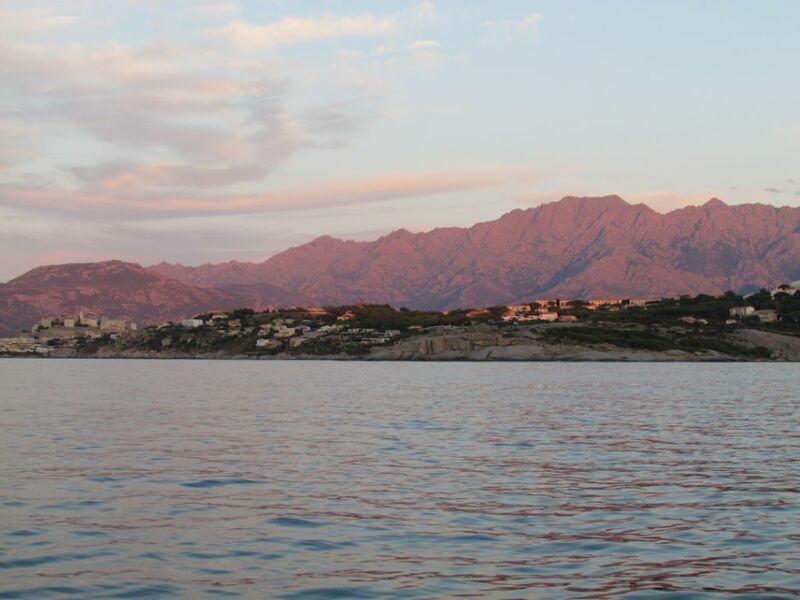 This anchorage provided us with a great view of Calvi Citadel and as the sun set we enjoyed the change of colour over the mountains and the citadel walls. 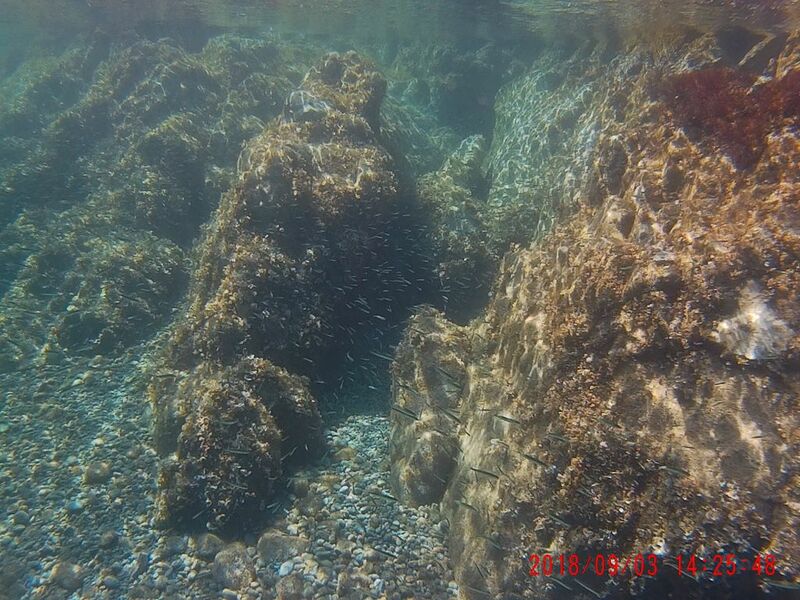 The sea was clear and great for snorkelling, although the water seemed a little chillier. 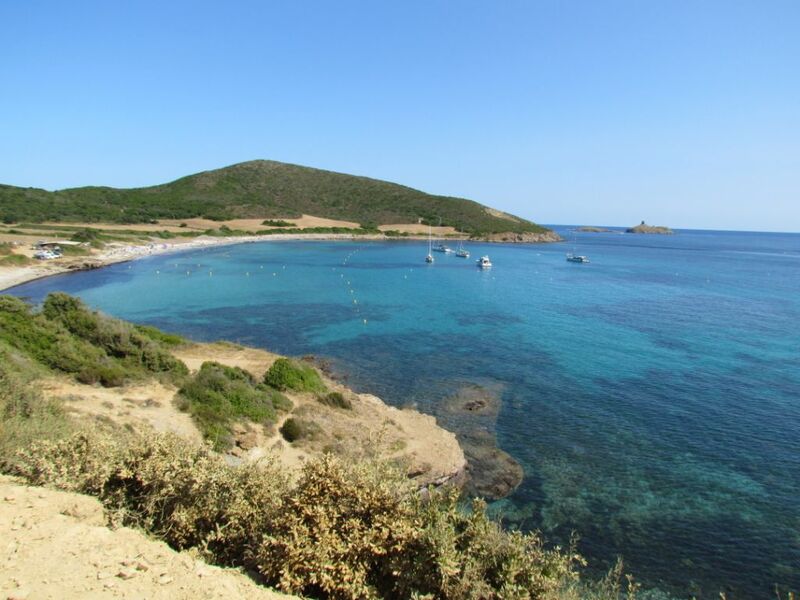 The Revellata is a nature reserve with a network of paths to choose from to walk out to the lighthouse or admire the steep drop offs on the western side. 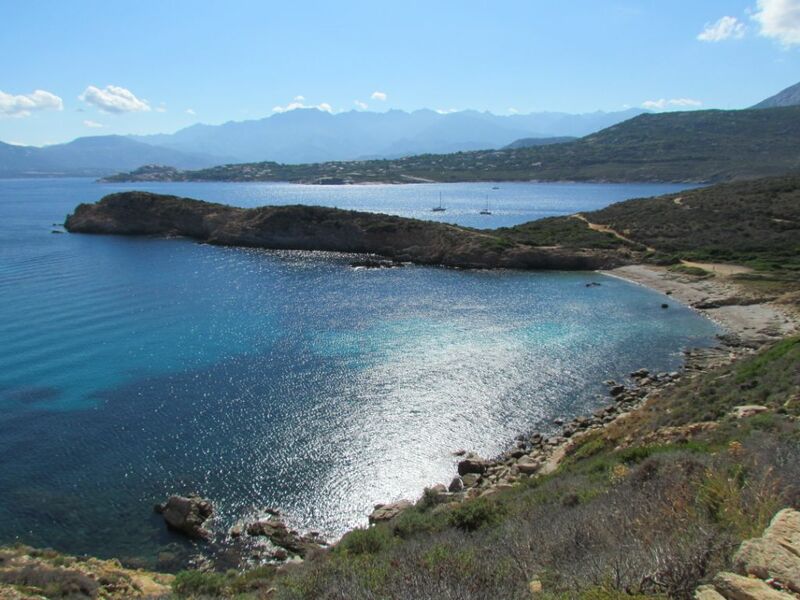 A track also runs to Calvi so I took a morning stroll whilst Colin took the dinghy across to take our shopping back. 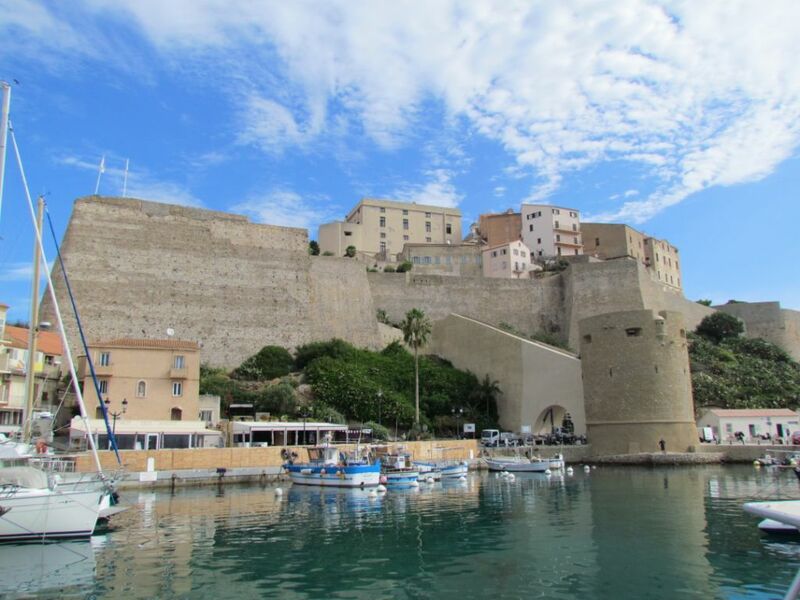 We wandered the tiny citadel, visited the French Foreign Legion museum and looked at the monument to Christopher Columbus – Calvi claims to be the birthplace of the explorer. 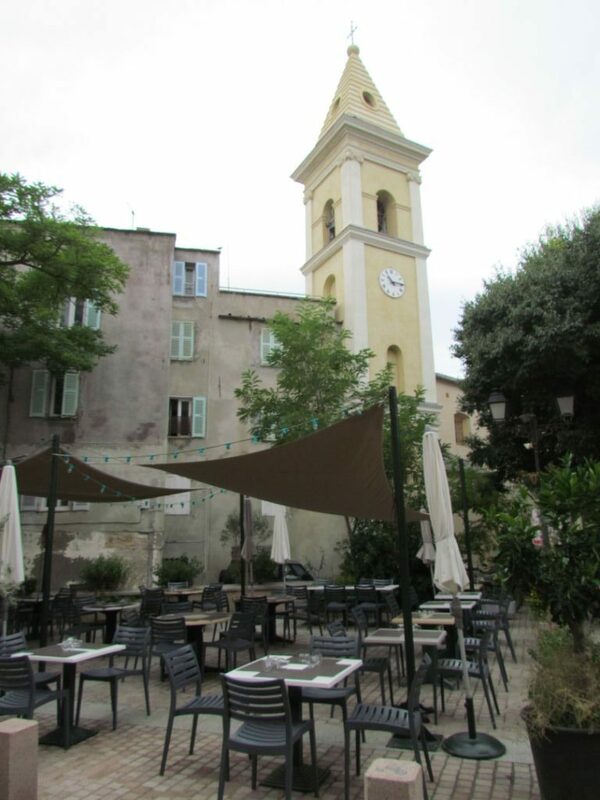 Whilst exploring the warren of streets of the old town we came across a wonderful deli which had an enticing smell from the many saucisson hanging from the ceiling. It was a cunning ploy along with the sample slices to taste as we were easily tempted into buying a few to take home. But we lingered too long….. whilst we were shopping the wind had picked up from the SW and it was a soggy trip back to Emerald. If only we had a bigger outboard engine! 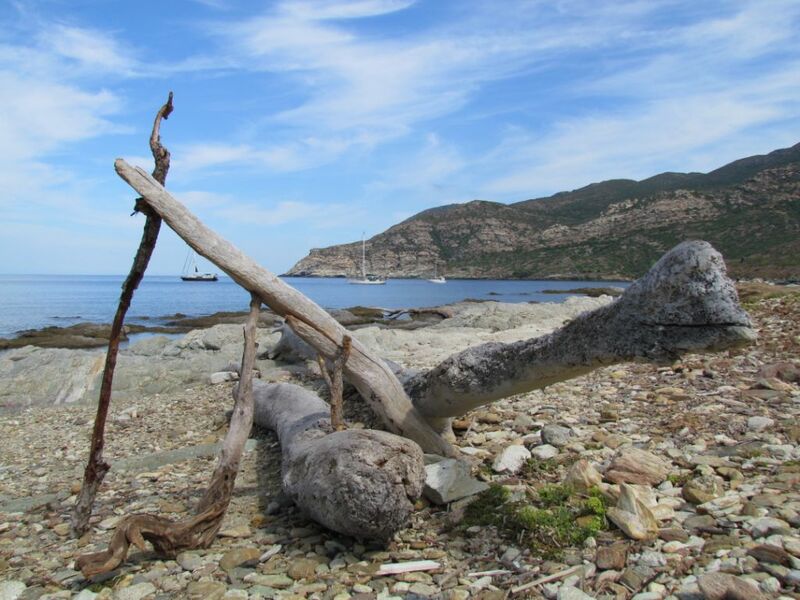 Anchored in sand, 5.5m outside the buoys protecting the nature reserve around the islands. 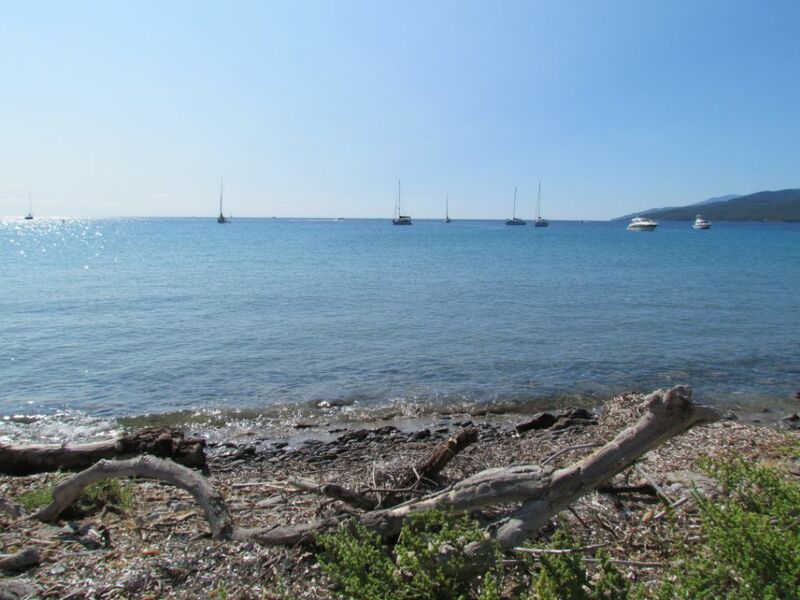 Provisions are available in Macinaggio, approx 3km walk away where there is also a marina. 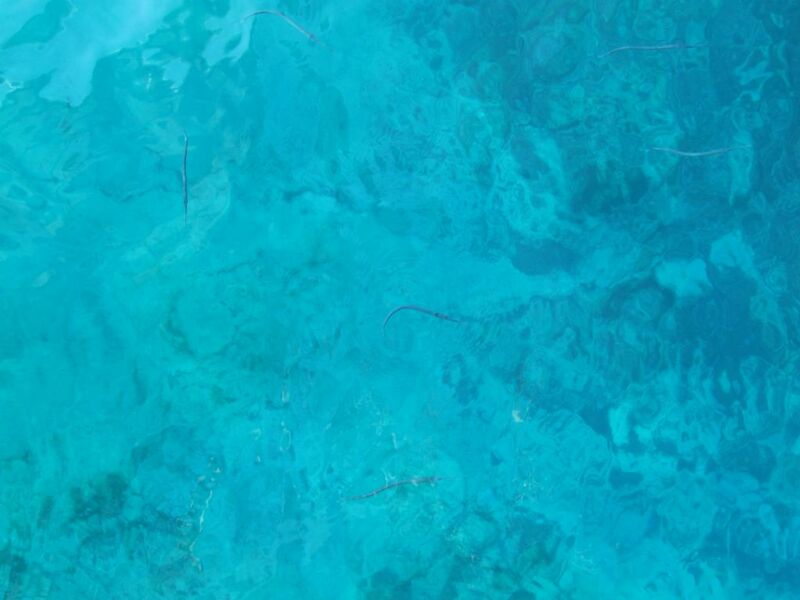 If swimming, watch out the fast RIBs that come hareing through the gap between the islands. 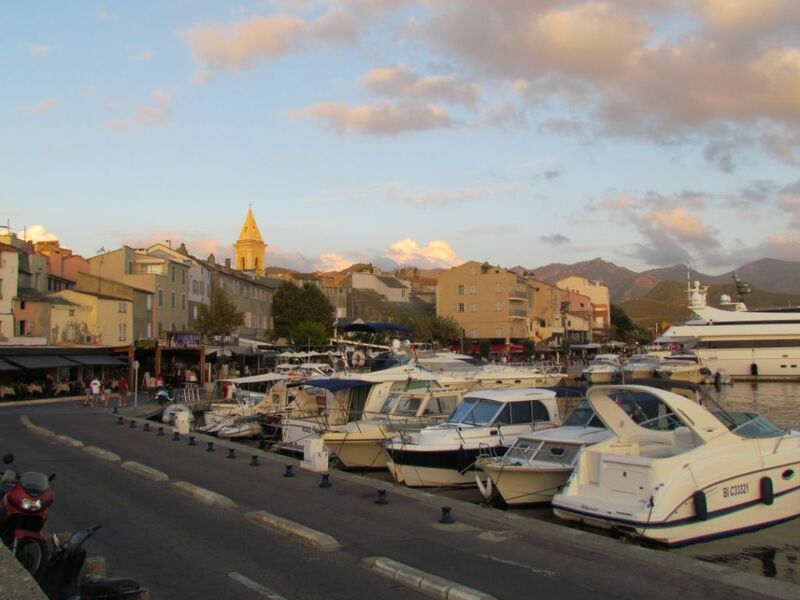 Small village ashore with harbour. Anchored in 9m in a sand patch amongst lots of weed and rock. 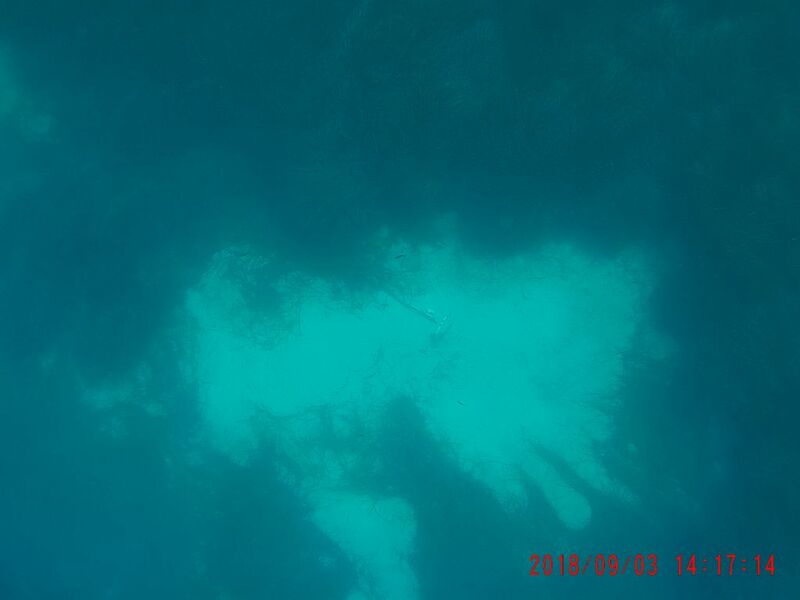 When swimming, I noticed a huge rock standing several meters up from the seabed. Not an issue for our keel, but we concerned that the anchor chain may end up wrapped around it so we pulled in some chain.